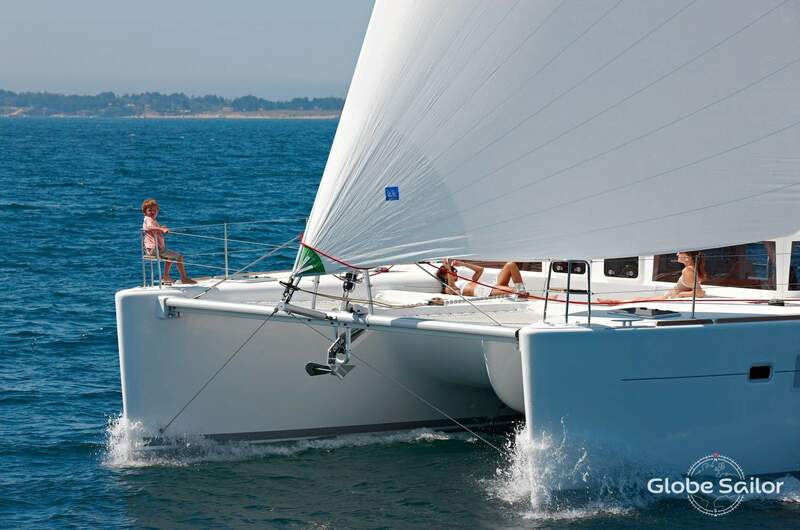 Discover Croatia on board a catamaran! 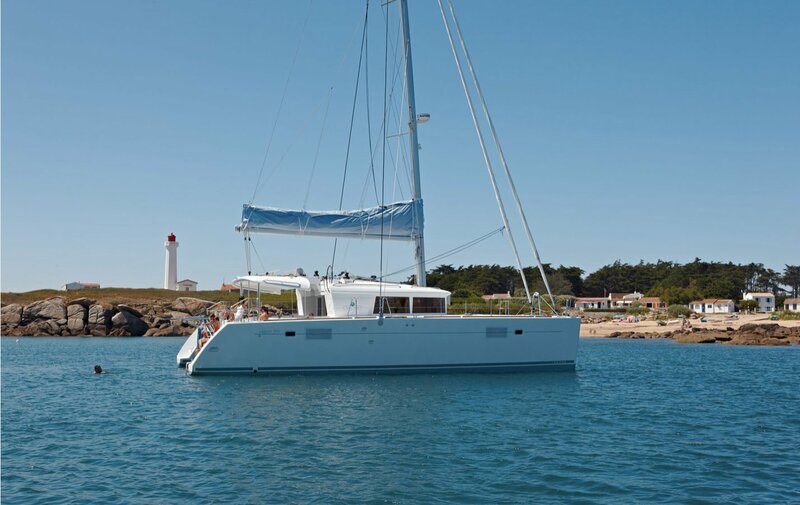 Welcome aboard your catamaran for a premium 8-day/7-night cruise in one of the most beautiful sailing destinations in the world! 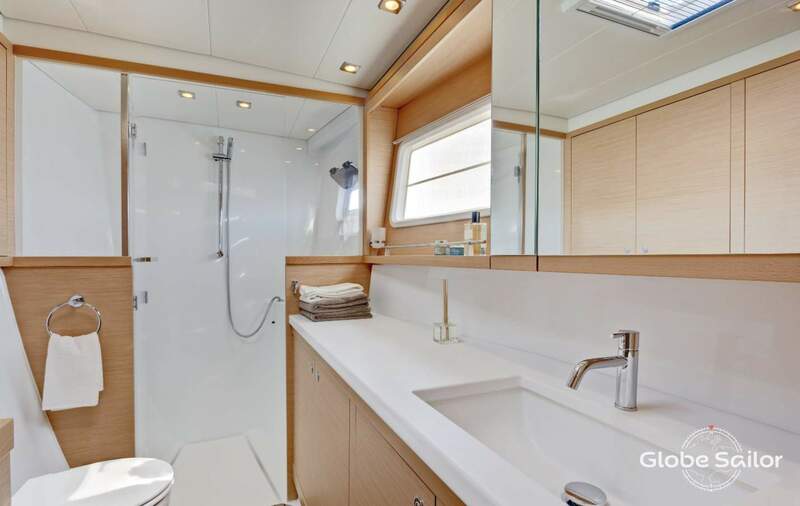 GlobeSailor invites you for a week of your dreams departing from Split (Trogir) with a professional skipper and host attending to your every need. Take advantage of a tailor-made itinerary to discover the wonders of Croatia and its historical tiny ports, off the beaten track! 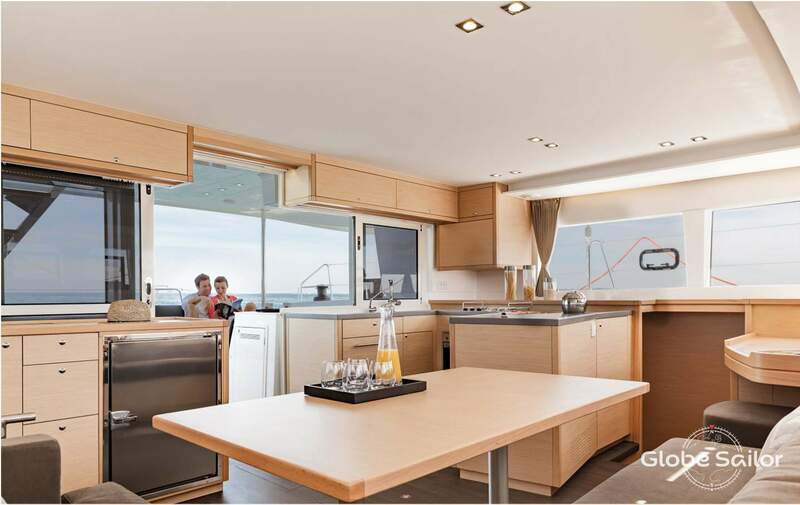 The Lagoon 450 offers you exceptional living space with a flybridge to allow you to observe the beautiful horizon, a space to sunbath at the front and a secure bow for onboard access and swimming. You will also appreciate its elegant yet practical interior design. There is everything you could ever want on board to help you to have unforgettable holidays! 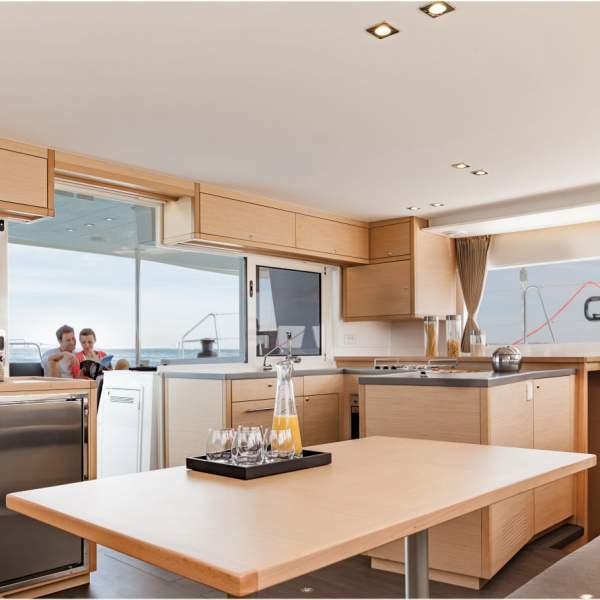 On board a catamaran Lagoon 450, you can relax in your double cabin with all the comfort of a bedroom. 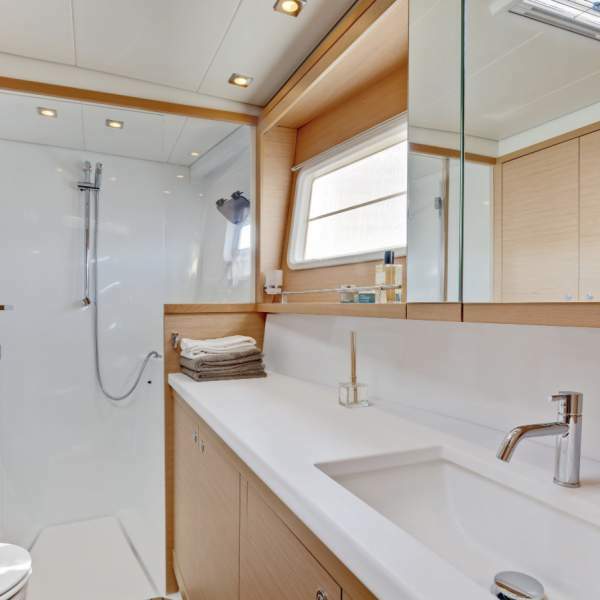 Each cabin has a private bathroom with a sink, large mirror, cabinet, toilet, shower and hot and cold water. 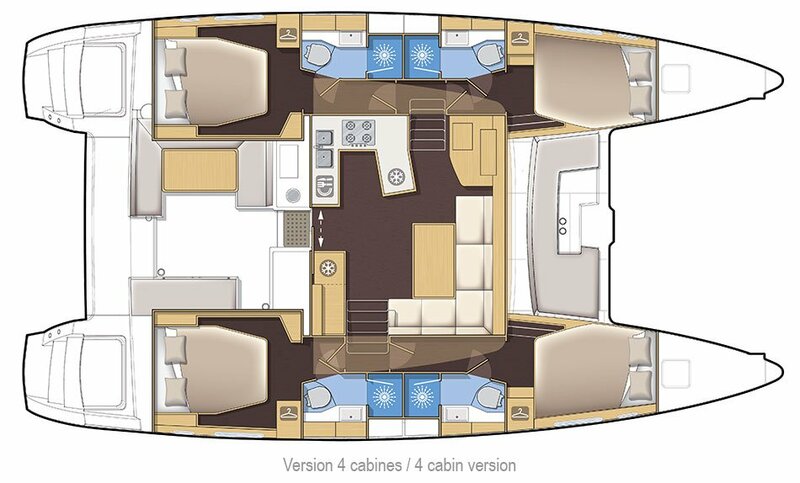 This catamaran has 4 double cabins and a capacity of maximum 8 people with 2 crew. 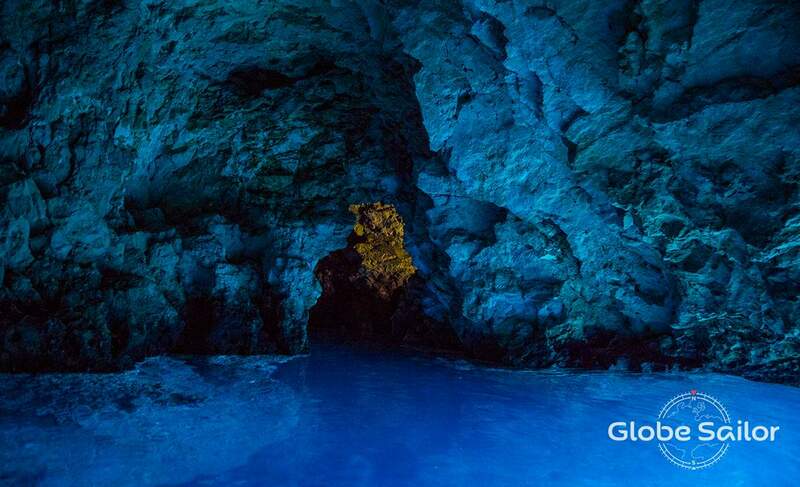 Discover the Dalmatian islands! 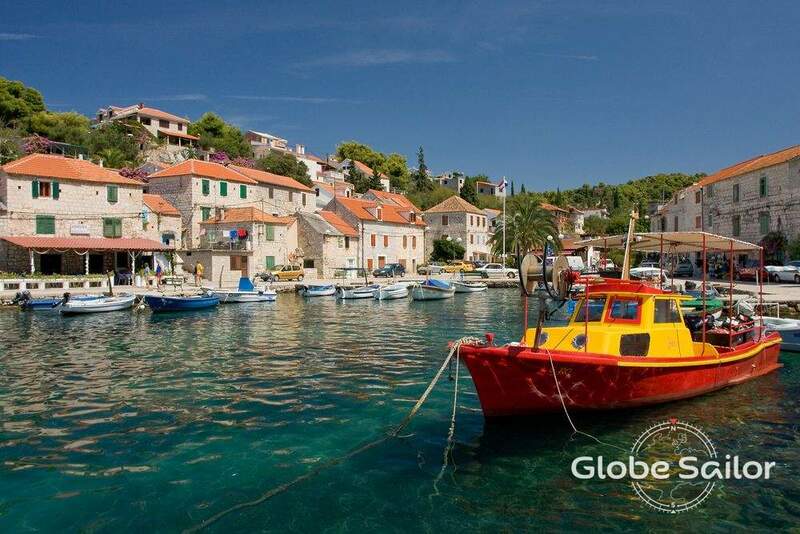 Take advantage of a specially designed GlobeSailor itinerary to help you discover the most beautiful islands and anchorages on the Dalmatian coast in a week-long cruise: Hvar, Vis, Brac ... You will swim and sail between the islands during the day, and spends nights either at anchor or at the port. Depending on the weather, the skipper may have to modify this route. Upon arrival at the airport, a 10 minute transfer will take you to the boat at Marina Baotic. A welcome cocktail will be served on arrival by the crew. You will board between 16:00 and 17:00 on Saturday. 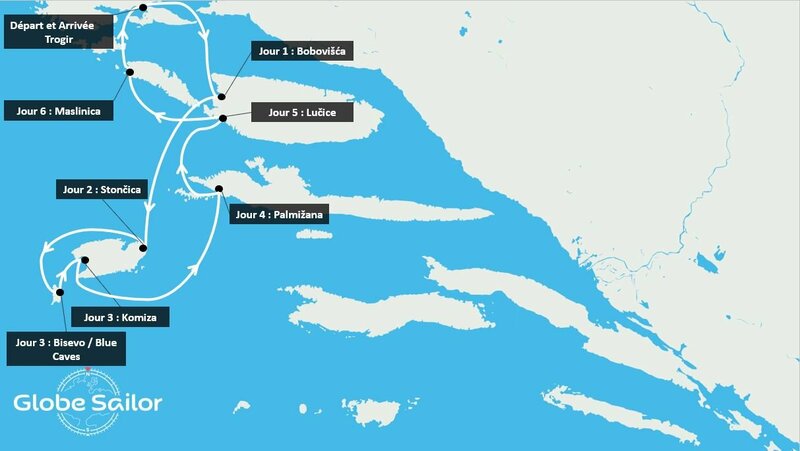 After a briefing from the skipper on the safety rules on board and a presentation of the cruise, you will leave the port heading south, towards Bobovišća. 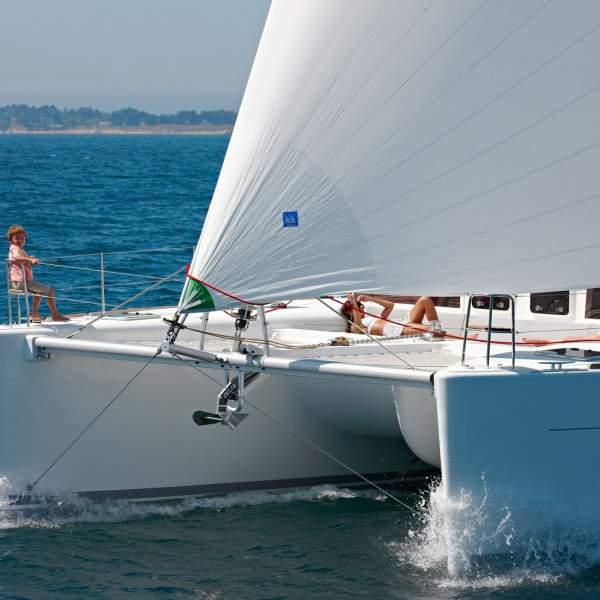 Take advantage of this first stretch of navigation to get to know your crew and familiarize yourself with the catamaran. 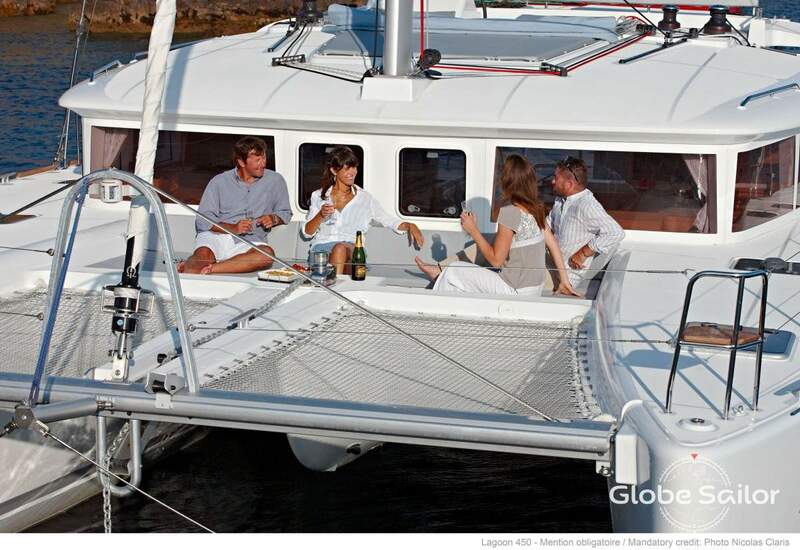 You will spend the evening and night in Bobovišća Bay with dinner on board prepared by the hostess, for those who wish. 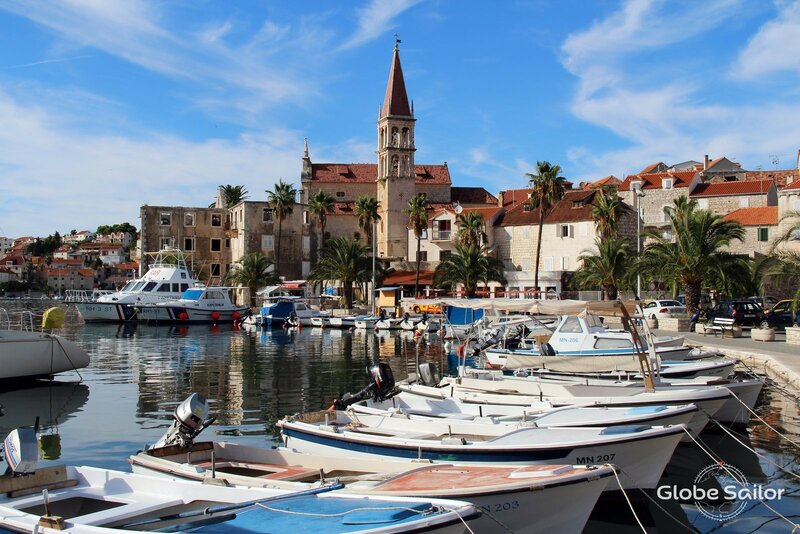 After your breakfast, your catamaran will set sail to discover the island of Vis. Your skipper will drop anchor just north of the island in the beautiful anchorage of Stončica. Disembark to explore the surroundings then dine at the nearby restaurant, with your feet in the water! Here you will spend the night. 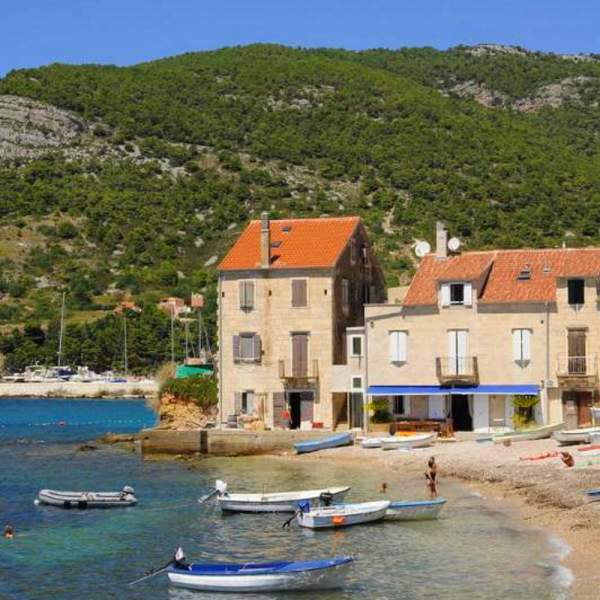 Your skipper will set sail in the direction of Komiza. 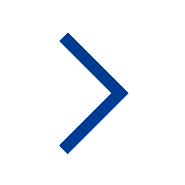 Depending on the weather, a route North or South can be taken. 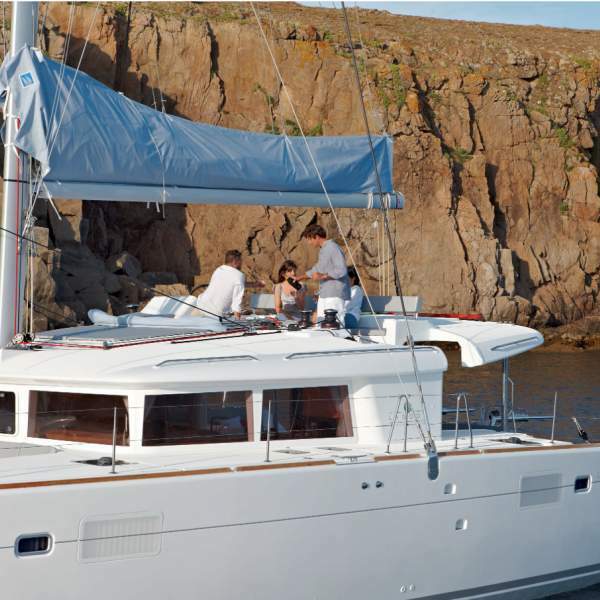 You will discover dozens of wonderful anchorages and can swim in crystal clear water. 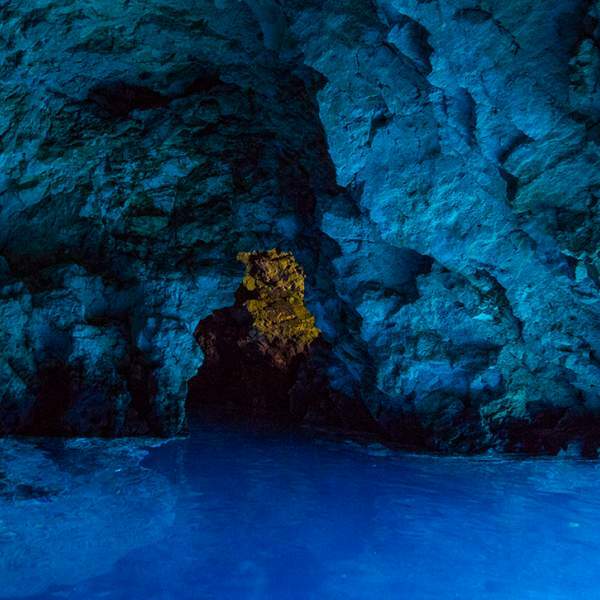 Your crew will take you to the entrance of the famous blue cave of Bisevo: leaving you speechless. 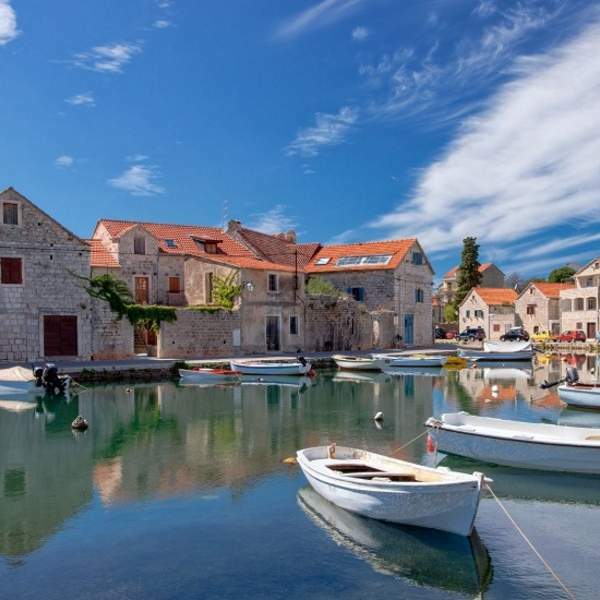 Once back on board, your cruise will resume, heading towards Komiza, a charming historic village with many traditional restaurants. Evening and night at the port. 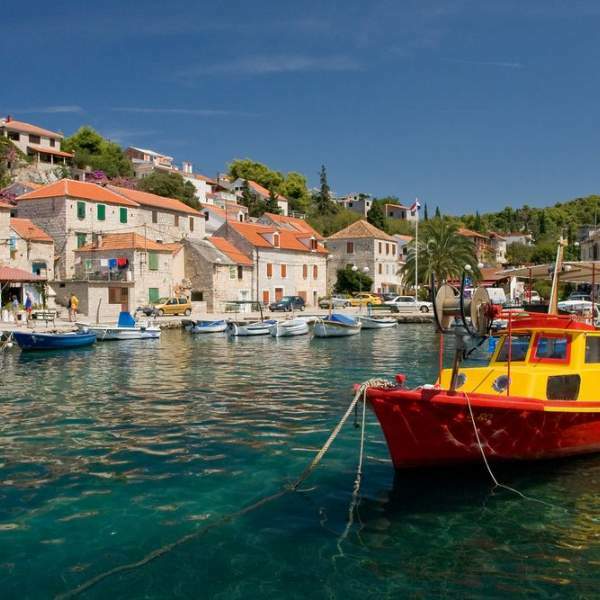 It's time to head north to sail the archipelagos of Pakleni Otoci: your skipper will lead you to discover magnificent spots where you can swim. 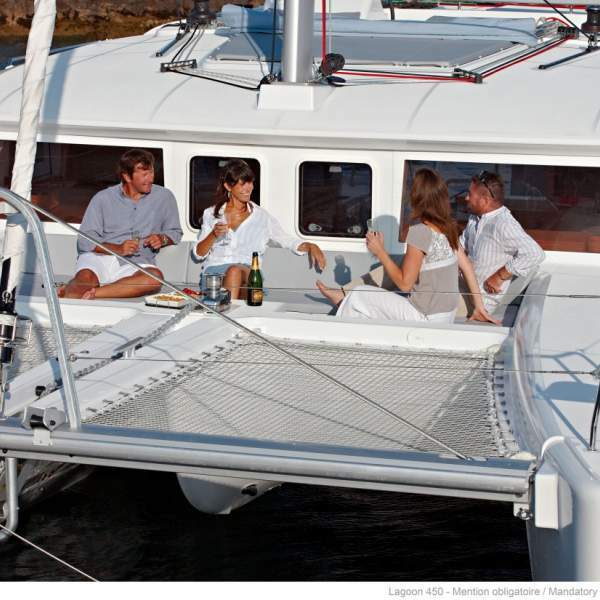 Your catamaran will continue and reach the port of Palmižana in front of the beautiful city of Hvar. A taxi boat will take you in a few minutes to the heart of the city of Hvar for a memorable evening on land! 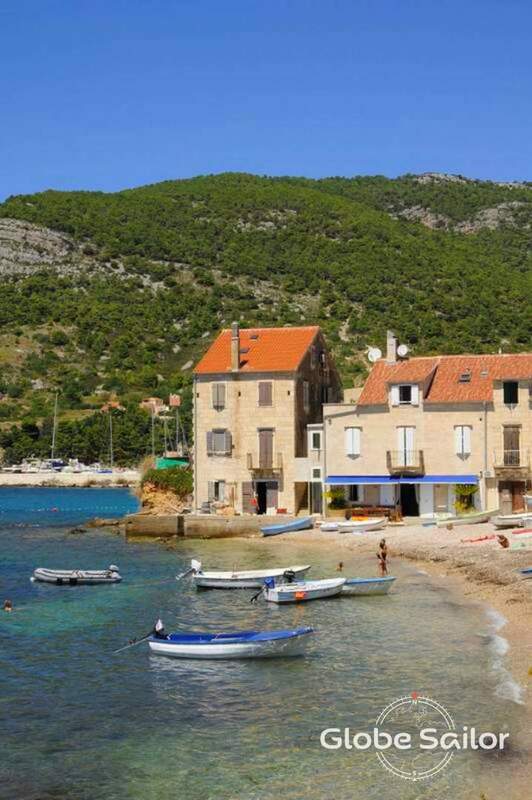 You will leave the port of Palmižana and head in a northerly direction, south of Brač and the protected bay of Lučice. The brave can go to the village of Milna for dinner, 2 km from the boat. Night at anchor. In the morning, you will depart for Šolta, west of the village of Maslinica, one of the most beautiful bays of the coast. Weather permitting, you can also anchor south of Maslinica in Sesula Bay and dine at the Sismis restaurant just above your boat. Once breakfast is over, you will leave Maslinica and navigate back to Trogir via glorious anchorages where you can swim in the crystalline waters. You will return to the Marina around 19:00 for a final dinner on land. Breakfast will be served on board and you will disembark in the morning, heading back to the airport by taxi. Or why not extend your holiday and explore some more of this wonderful country! How does the half board work? This cruise in Croatia includes half board. Your hostess will organise breakfasts and lunches based on fresh and local products. Wine is included in the lunchtime meal. Diners will be onshore, each one of you is free to do what you want. 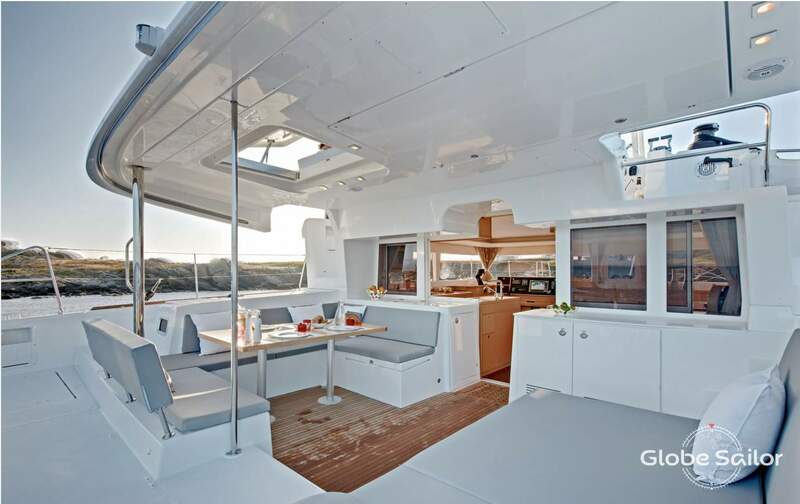 A dinner is still planned on the day of arrival aboard the boat, and a breakfast will be served on the last day before leaving the catamaran around 10am. Alcoholic beverages (other than wine) are extra. Please inform us as soon as possible if you are allergic to certain foods or diet. 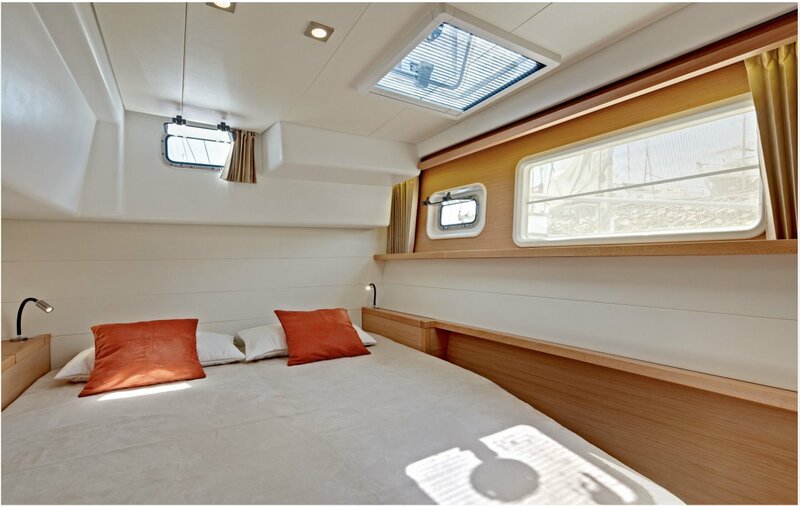 Regarding sleeping arrangements, the skipper will sleep on board, in a seperate cabin. The skipper is not in charge of cooking or washing up. 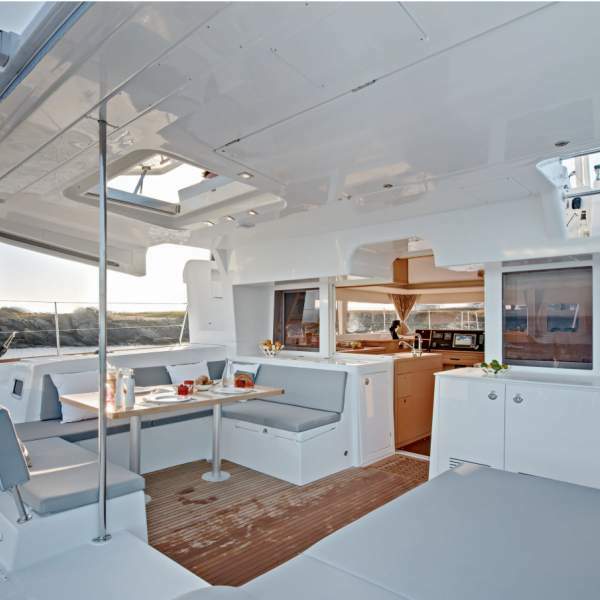 The hostess (or cook) will prepare your meals, clean the saloon area and the cabins and make sure the boat is kept tidy. 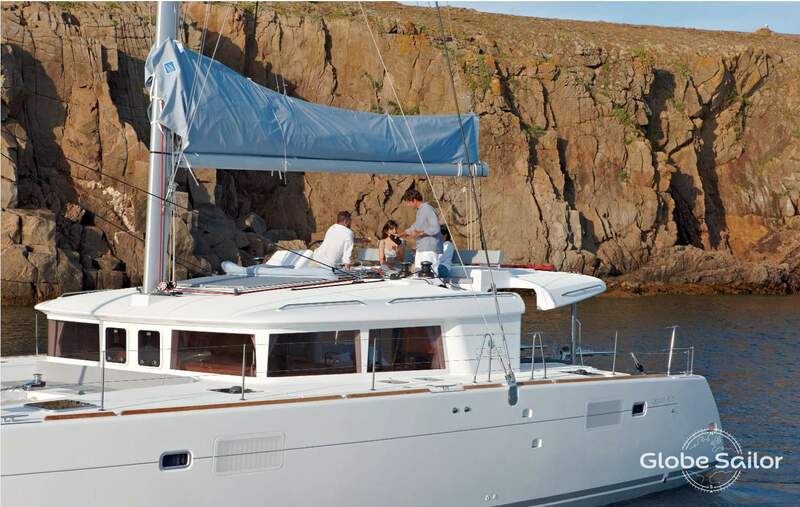 The transfer is organised by your GlobeSailor advisor and the base manager by taxi or minibus. Don't forget to foward us your flight details. The balance should be paid no later than one month before boarding. What documents do I need in order to travel to Croatia?